Today, two Canadians held hostage in Iraq came home. 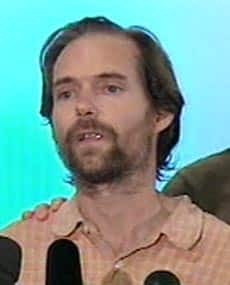 James Loney was kidnapped in November along with three others from a Christian humanitarian organization, in Iraq as peace activists. I remember when they were first abducted, because there was a long piece on the radio about James Loney. An ardant and activist Christian, he objected to the invasion and occupation of Iraq. The hostages were meant to be killed on numerous occaisions if the Americans wouldn’t release Iraqi prisoners; time and time again they were not killed. Family and friends of James Loney expressed their certainty that he would convince his captors that he was on their side. If anyone could do it, they said, James could. They talked about what he was like, what pushed him to put his life on the line and travel to Iraq. They spoke about him as a friend, as a sibling. How kind he was, how gentle and intelligent and thoughtful. He appeared to be the personification of goodness. And here he was, off in Iraq, a critic of the American invasion and a defender of Iraqis, all because of his faith. It was a military intervention that brought him home today; James Loney was quoted months earlier saying that if he were abducted in Iraq, he would not want the military involved. That was how deeply he objected to the military presence there. While lately I’ve been left with a bad taste in my mouth because of the antics of some other self-described Christians, I found myself gaining more and more respect for this James Loney fellow. He had a sincere belief in what Jesus meant to tell his followers; he listened to the pledge of the peace-loving (blessed are the peacemakers, after all), and took it to a dangerous and impressive extreme. He risked his life to follow his beliefs. What also struck me at the time was that he’s Canadian. We don’t hear very much about activist Christians in Canada, barring the few who protested the government’s recent decision to legalize gay marriage. I couldn’t quite hear about James Loney without hearing those other Christian voices echoed around his. I felt a kind of dissonance. I went to Divinty school, I know lots of Christians that I respect beyond all things, but I’m not used to hearing about Christians doing such good things on the radio these days. I’ve grown so cynical. Today he came home, after months with his own death hanging over his head. It’s a miracle that he’s here. The American in his group didn’t make it. I listened to the coverage more carefully because I remember how I felt hearing about his abduction. Today, they spoke about the joy of the members of his church felt that he was coming home. A church in his hometown held a mass of thanksgiving, even before he had flown back into the province. [via]. He has become a sort of idealized Christian figure, the sort of Christian others should emulate and praise. The part of the story that’s new to me about James Loney is that he’s gay. “It’s great to be alive!” Loney said. Flanked by his teary brothers, partner, and sister-in-law, a thin-looking Loney said he was still having difficulty believing he was free after almost four months as a hostage, and just three days after his rescue. What does it say about the Canadian Christian community that their latest hero, the man so good his practically shined over the radio, is a gay man? Not a gay man struggling to be straight, either; an open, out gay man in a long-term relationship? What does it say about the Canadian press that this fact has passed by virtually unmentioned? I discovered it by noticing that the radio report talked about the other hostages returning to their wives, and Loney returning to his “partner”. Later in the report they mentioned his “partner, Dan”. So they didn’t ignore it, unlike the web version of the story, which simply says that he was met at the airport by “family and friends”. Had he been straight, they would have noted a wife or a girlfriend, surely. But even so, other reports do mention it, and don’t remark on it beyond that. I haven’t heard a thing from the Christian community about this, though perhaps it’s not in the best of taste to decry the gall of a homosexual to run around the world representing their values when he is being held hostage and threatened with death. But even so; the churches are celebrating his return like nothing I’ve ever seen before. It’s certainly interesting to watch, even though I can’t draw any conclusions about it. At this point all I can say is: welcome home, Jim. Today I bought a digital camera. I’ve been talking about this for ages, and today, talking to a dear friend of mine in California, I had finally had enough of not being able to showcase the loveliness that is my latest living arrangement. Well, loveliness is one word for it, anyway. Any self-grooming issues you’re having can be fixed here. Drop in for some ice cream or some musical instruments. And we’re not lacking in the caffeine department. Comment spam (also called blog spam or link spam) is the placing or solicitation of links randomly on other sites, placing a desired keyword into the hyperlinked text of the inbound link. Guest books, forums, blogs and any site that accepts visitors comments are particular targets and are often victims of drive by spamming where automated software creates nonsense posts with links that are usually irrelevant and unwanted. I think we’re all fairly familiar with comment spam at this point. It’s super annoying, and most blog platforms have tools to help us bloggers deal with it. That’s the status of things on the internet right now. But when I started to get comment spam from OCLC, I really wondered what the heck was going on. Generally it’s presumed that spam comes from people who have paid a professional to generate it for them. The online viagra peddlars, for instance. But OCLC? Why would they do such an underhanded thing? At first I thought it must be some kind of joke, and I just ignored it. But after a few such comments I started to get annoyed, and fired off a question to OCLC. I took a screenshot of my comments moderation page, uploaded it, and sent that along too, to demonstrate the problem. Why am I getting comment spam from these people? Is this the latest OCLC advertising blitz? After a significant amount of confused back and forth with OCLC support (at first they thought I was complaining about getting spam email from them, in spite of the screenshot, and asked me if I’d signed up for something), they still have no idea why I’m getting these comments. They admit that the IP addresses (plainly visible in the screenshot) belong to professional spammers, which makes it look as if OCLC has paid these people to harrass me. Anyone else getting OCLC spam? Anyone at OCLC want to take a crack at explaining this? Edited to add: OCLC assures me that they had nothing to do with the spammers. I believe them, but I’d really like to know: what is the point of random, pointless comment spam? Who’s getting something out of this? It’s very random and strange. I wonder if there’s a special psychiatric condition to explain why I’ve been longing to hear the soundtrack from Annie all day.